A lot of studies have been made on new product development process to make it an ideal procedure and many researchers have contributed significantly to achieve this by studying various factors associated with it. In this study, an attempt has been made to predict the optimal numbers of new products produced by electronics and metal & machinery industry by considering various factors those significantly affects the production pattern of these industries. For prediction purposes, functional linked artificial neural network (FLANN) with and without nature-inspired techniques have been used and comparison of performance for both the models have been done by using mean square error (MSE) and mean absolute percentage error (MAPE) as the measurement indices. Allocating scarce resources and utilizing them in best possible manner is the biggest challenge being faced by the scientist and research community all over the world in recent time (Manufacturing & Industrial: Waste Minimization). As demand for limited resources has been shooting up exponentially with time; industries are coming up with new and innovative products to survive and mark their success. In real time, it seems to be very obscure to estimate the exact numbers of new products needs to be produced to remain competitive in the market without wasting scant resources (Tomkovick & Miller, 2000) (Nayak). Considering this alarming situation of depleting resources and continuous boost in their demand; it is anticipated to predict proficiently the numbers of new products to be produced. Metal & Machinery and Electronics industries from manufacturing sector have been chosen to study their production pattern because of huge growth seen in these industries during last few decades. Real time data related to the production of the new products have been collected from the numbers of firms those are operating in these industries on different parameters like; age of firm, export experience, numbers of products produced by firm, expenditure on research and development, numbers of employees in firm, percentage input from domestic market, gross national income of the country where firm operates, total sales amount realized by firm, technology used for the production. Artificial neural networks (ANNs) are the techniques which imitate the working of human brain and as human learn from their past experiences ANN learn from the data provided to them. These techniques have found applications in numerous real time problems ranging from study of human behavior, medical studies, product and process improvement, image and signal processing and many more. In this study, a variant of ANN called functional linked artificial neural network (FLANN) technique have been used. FLANN is known for its simple structure with lesser computational requirements as compared to other available ANN techniques like multilayer perceptron (MLP). The best part of using ANNs is that they do not have many assumptions about the input data except the same format of input stream for getting significant results. Data collected on different variables has come from different sources and their values are distinctive in nature and to put them on the same scale normalization of data has been done. Randomization has been introduced in the input data sequences to avoid saturation during training and testing phase with the added benefit of testing the robustness of the model. Different functional expansions like trigonometric, legendre, chebyshev and power series are fused with the basic FLANN structure and two different models have been developed on the basis of feedback algorithm. 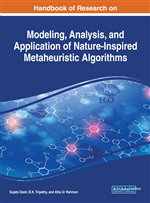 In one model least mean square (LMS) for other bio-inspired particle swarm optimization (PSO) has been implemented as the weight updating / feedback algorithms. Mean square error (MSE) and mean absolute percentage error (MAPE) are taken as performance indices and comparison of the models have been made on the basis of results obtained from the simulation study. Working efficiency and prediction accuracy of the models have been shown using MSE plots and MAPE values respectively in the result section. Managerial implications along with limitation and future direction for the study have been discussed at last, which could help decision makers in maintaining the production level and may also help managers to use resources wisely while keeping the wastage at minimal. Quantitative Variables: These are the variables those could have get numerical values. For example age of a person, number of pen one person is holding etc. Dependent Variable/Factor/Parameter: These variables are bound to other variables or in other words variations in these variables are affected by the variations in other variables. These variables serve the purpose of studying any phenomenon by observing these variables. Qualitative Variables: These variables cannot have exact numerical values but we can measure them on some particular scale like likert 5 point scale e.g., financial status of firm can be measured on a 5 point scale from very good, good, average, poor, very poor. Later we can assign any numerical value to these scales for representation. Independent Variable/Factor/Parameter: These variables do not bound to any other variable or in other words variations in these variables do not depends on the variation of any other variables. These variables are used as the input data streams for any phenomenon to study. Nature Inspired Technique: Techniques or methods those are devised or copycat from nature are called as nature inspired techniques since these are motivated from the phenomenon happening in the nature as a daily routine e.g. the movement of groups of birds in sky, movement of ants in a single line and many more. Simulation Study: Creating an artificial environment satisfying all the real time conditions or creating exact duplicate of the phenomenon. In this way we can simulate the copy of real time problem and can check the result by using different input variables and other conditions which could save lot of resources and according to results obtained different strategies may be devise for future action plan. New Products: Products those give different utility and feeling to the consumers rather than the traditional old products are considered to be new products.